Capital One® Secured Mastercard® is a no-frills, no-annual-fee credit card designed for consumers who wish to build their credit. It’s a secured credit card that requires a modest upfront deposit (at least $49), carries a fairly high regular APR,and comes with a low initial credit limit. However, when used responsibly, Capital One Secured Mastercard is a useful bridge to higher spending limits and more generous rewards credit cards. 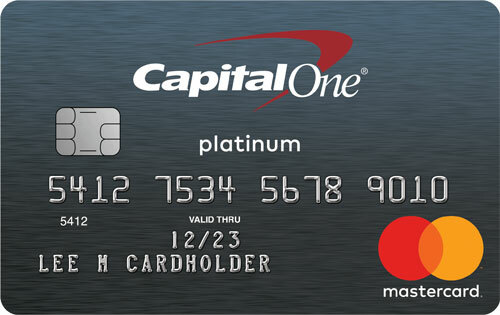 Capital One Secured Mastercard is comparable to other secured credit cards for consumers with bad or limited credit, such as the BankAmericard Secured Credit Card. It’s important to note that this card is stripped-down and devoid of many of the perks that more generous credit cards offer as a matter of course, such as cash back or travel rewards and early spend bonuses. However, that doesn’t mean it’s not a potentially game-changing card for people who need to improve their credit standing. Before you can use this card, you must make a security deposit of at least $49. The exact amount, and your corresponding credit limit, depend on your personal creditworthiness as assessed by Capital One. If you make your first five monthly payments on time, you’re automatically considered for a credit line increase. Further credit line increases are possible with continued timely payments. This card has no annual fee, balance transfer fee, or foreign transaction fee. The cash advance fee is $10 or 3%, whichever is greater, and the late payment fee ranges up to $38. Thanks to Capital One’s CreditWise suite, you’re entitled to a free credit score with your paper or online statement each month. You can also access your score at any time in your online account dashboard. Additionally, CreditWise includes a host of credit-building tools and educational content. This card is for consumers with bad or limited credit and is actively marketed as a tool for building credit. Even if your credit history is checkered or spotty, you’re welcome to apply. Low Upfront Deposit Requirement. You can open your Capital One Secured Mastercard account with a security deposit of as little as $49, depending on your creditworthiness, and qualify for a credit limit of $200 or more. That’s a big advantage relative to secured competitors, some of which require $200 (or greater) minimum deposits before you can use your card. No Annual Fee. This card has no annual fee. Many of its closest competitors, including BankAmericard Secured Credit Card ($39) and Citi Secured Mastercard ($25), do carry annual fees. No Balance Transfer Fee or Foreign Transaction Fee. Capital One Secured Mastercard doesn’t charge balance transfer fees or foreign transaction fees – rare perks in the credit-building category. That’s great news for cardholders who wish to transfer balances from other cards or use their Capital One Secured Mastercard outside the U.S.
No Penalty APR. This card doesn’t carry a penalty APR, which is an excellent benefit if you occasionally miss a payment. The OpenSky Secured Visa and Citi Secured Mastercard both carry penalty APRs (the latter ranging up to 29.99%). Opportunity for Credit Line Increase in Five Months. If you make timely payments on this card, you’re eligible for a credit line increase in as little as 5 months. Many competing cards make you wait as long as 12 months to request an increase. If you’re planning to make a large, time-sensitive purchase, or simply want more month-to-month spending flexibility, a year is a long time to wait. Useful Credit-Monitoring and Credit-Building Tools. The free credit score other Capital One CreditWise tools are super-useful for cardholders committed to building – and understanding – their credit. Some competing cards, including the BankAmericard Secured Credit Card, don’t come with free credit scores. No Rewards.Capital One Secured Mastercard doesn’t have a cash back or travel rewards program. If you want a card designed for building credit and earning rewards, consider the QuicksilverOne Cash Rewards Card ($39 annual fee) or Navy Federal Credit Union nRewards Secured Credit Card (no annual fee). High APR. Even by credit-building card standards, this card comes with a high regular APR. If you intend to carry a balance from month to month, consider lower-cost options such as Navy Federal Credit Union nRewards or DCU Visa Platinum Secured, both of which have lower regular APRs. Pre-approval Credit Check Required. The Capital One Secured Mastercard application requires a credit check. While substantial credit blemishes aren’t likely to disqualify you, you probably won’t be approved for this card with a recent bankruptcy, foreclosure, or pattern of delinquency on your record. Some competing cards, such as Merrick Bank’s Secured Visa ($36 annual fee) and OpenSky Secured Visa ($35 annual fee), don’t run your credit during the application process. Needless to say, Capital One® Secured Mastercard® is a not an exclusive card. However, when used responsibly, it’s absolutely worth its weight in gold – or platinum. If this card is what ultimately teaches you the value of making timely payments and spending within your means, you might just find a real Platinum Card in your wallet one day. The Capital One® Secured Mastercard® is an ideal secured credit card for people who don’t have a lot of money to deposit upfront, don’t want to fork over an annual fee for continued use, and don’t have super-high spending needs. It’s not ideal for people who can qualify for a rewards-bearing credit-building card, those with very poor credit, and those with high spending needs. No annual fee, credit limit higher than deposit, no penalty APR, and no foreign transaction fee are all great. The lack of a early spend bonus and rewards, credit check requirement, and relatively low credit limit hurt. Overall, this is a great credit-building card for people without super-high spending needs.